Enjoy the best inspirational, motivational, positive, funny and famous quotes by Adil Hussain. Use words and picture quotations to push forward and inspire you keep going in life! 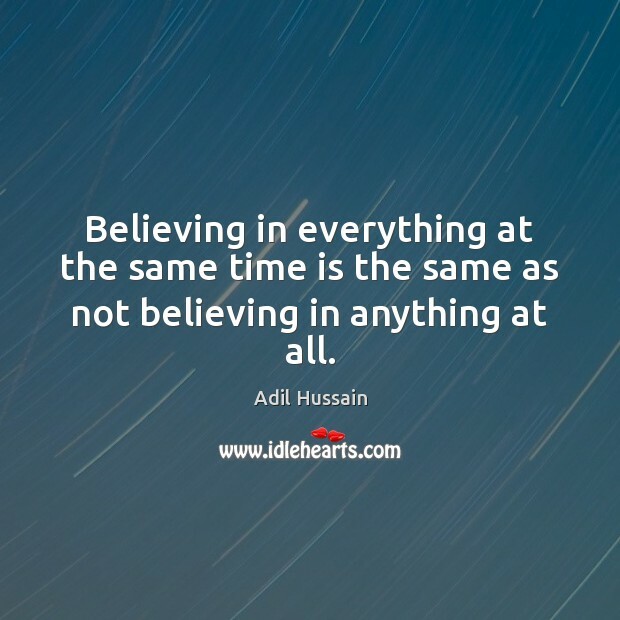 Believing in everything at the same time is the same as not believing in anything at all. 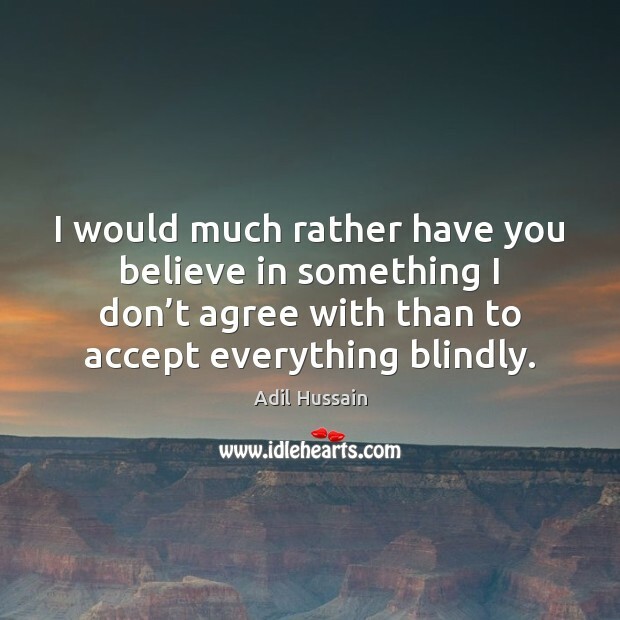 I would much rather have you believe in something I don’t agree with than to accept everything blindly.